UPDATE June 20, 2018: At the San Francisco Board of Supervisors meeting Tuesday, the board unanimously approved legislation changing the name of Phelan Way to Frida Kahlo Way. On Wednesday, San Francisco Mayor Mark Farrell told KQED he planned to sign the bill soon. "San Francisco needs to be a place and has to be a place where everyone feels welcome and included," Farell said. UPDATE April 5, 2018: On Tuesday, Supervisor Norman Yee announced that residents who live near City College of San Francisco voted to change the name from Phelan Avenue to Frida Kahlo Way. "I think its important for city leadership to promote whats reflective of our culture today, and not allow for what happened in the past to dictate the future for us," Yee said when announcing the results. The name change is expected to go before the full San Francisco Board of Supervisors by the end of the year. A street in San Francisco named after a controversial figure could become Frida Kahlo Way by next year. 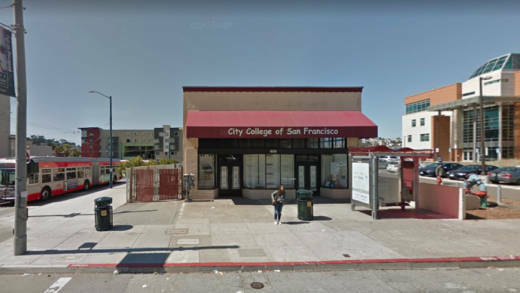 Phelan Avenue, which shares its namesake with former San Francisco Mayor James D. Phelan, will be renamed in the next two weeks due to the efforts of Supervisor Norman Yee, the City College of San Francisco and local residents. Last Thursday, City College's board of trustees voted to support renaming the road Frida Kahlo Way, after the influential Mexican artist. “At a time when the country is rethinking who deserves to have statues and parks named after them, [having] a street that an institution like City College is on named after someone whose family left a legacy of racism, doesn’t reflect [our] values,” City College English professor Alisa Messer told the San Francisco Examiner last week. Phelan, a former U.S. senator who lived from 1861 to 1931, has been described as a multimillionaire philanthropist revered by San Franciscans for his support of the arts. His will included a provision that after his death, his 175-acre estate in Saratoga called Villa Montalvo was to be used as a space to foster writers and artists. It continues to provide a popular artist-in-residency program. If the Chinese are admitted, whence are the ranks of the free population to be recruited? Who shall preserve our civilization and who shall fight our battles? The Chinese may be good laborers, but they are not good citizens. They may in small numbers benefit individual employers, but they breed the germs of a national disease, which spreads as they spread, and grows as they grow. The movement to strip Phelan's name from the street began as early as 2000, when local activists tried to rename it after local Filipino activist Violeta "Bullet" Marasigan. Those efforts failed, but the campaign started up again last year when University of San Francisco students protested to remove Phelan's name from a dormitory and succeeded. Supervisor Yee told the Examiner that he was recently contemplating the name change after learning about Phelan's past. Though the roadway is reportedly named after Phelan's father, banker James Phelan, supporters of the name change say the family tie is reason enough to make the switch. When Yee heard that City College of San Francisco was also working on renaming the street, Yee worked to open up the process to the public. A Phelan Renaming Committee, made up of college representatives and neighborhood residents, is considering several options. Other suggestions include writer Thelma Johnson Streat and Chinese American historian Him Mark Lai. A public vote on the new name is expected in two weeks. Yee will then take the winning suggestion to the San Francisco Board of Supervisors for approval. A spokesperson for Yee said the new name will become official in about a year. Last Thursday, City College's trustees voted in support of the name Frida Kahlo Way because her image is included in Diego Rivera's Pan American Unity mural on the campus theater. Trustee Tom Temprano said that the board saw the street's renaming as a perfect opportunity to honor an artist who, in recent years, finally received the recognition that Diego, her husband, enjoyed for decades. "[The renaming] certainly won't be an insignificant cost to the college. It will take time to change our website and all of our documents," Temprano said. "But it's about sending a strong message to our community, our staff and our faculty about what our values are."